I was going to make this a Wordless Wednesday photo share but I can’t look at this photo without thinking of the funny habit this guy does at the pool every single time we go. The nice lady will smile and say hi back, and he turns around like he’s going to walk away, then turns back around toward her and say hi again. Repeat 5Xs. He also does this in the middle of groups of two or three women. Luckily he’s cute, and only 2, or else he would probably come across as a total creep. And check out those lashes! 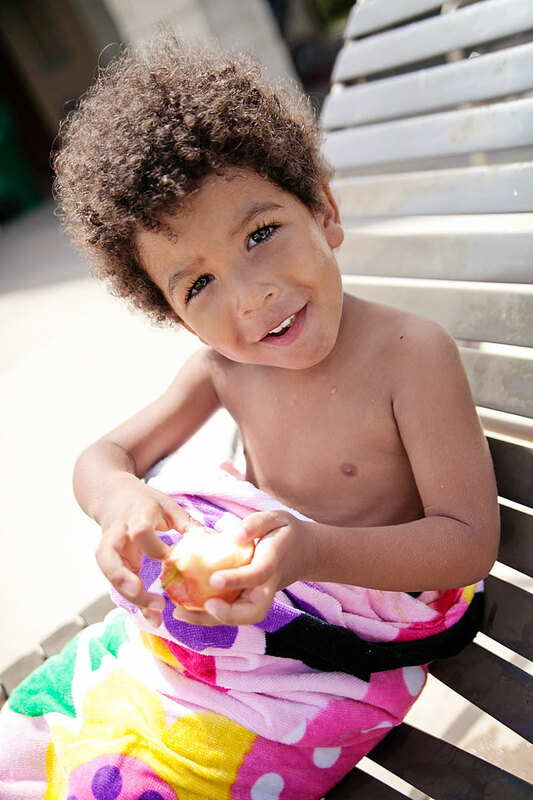 More on our pool adventures on my Tampico is Color blog. Leah Sannar recently posted..Do Opposites Attract In Marriage? Haha, oh he’d love to, trust me! Haha. A kid after my own heart. Haha, I think he’d get along with your twins quite well.